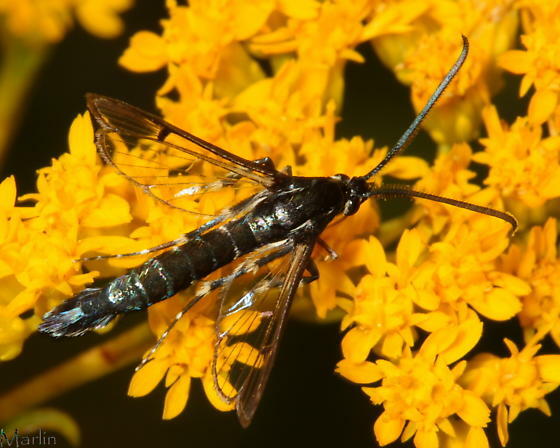 Based upon the the characteristics than I can see, the date and location, I would say that it is Synanthedon pictipes. Commonly called the lesser peachtree borer. It feeds mostly on wild cherry.